Fiery Leo with fiery Aries is a positive combination and provided they do not both try to be the boss, this can be a stimulating duo. 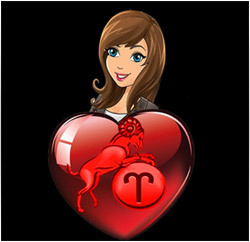 Leo can appreciate the Aries' drive and initiative while Aries is not overwhelmed by the big ideas, power and laggeness of leo. Both signs are outgoing, extrovert, warm and vibrant. When you put the creativity of a Leo with the energy and ebullience of a racy Ram, you won't get a couple whose idea of an exciting evening is playing a few rounds of snap before going to bed with a good book. These two will whizz off to all the wonderful wingdings they can find, parade at parties, dance the night away at the best disco in town, thrill themselves at the theatre and scare themselves silly at the cinema watching the latest spine-chiller. Leos love having the best, because they feel they deserve it and impetuous Arians will happily join in, because they think exactly the same thing. 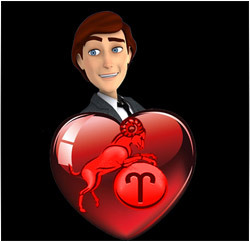 So unless there's a twinkling of economic Virgo in the Leo's chart or of materially-minded Taurus in the Arian's, it could be their loot and not their love that they'll lose.